Thats all. Game finished - Ajax 1, Juventus 1. Second Half ended - Ajax 1, Juventus 1. Jurgen Ekkelenkamp - Ajax - receive yellow card. Substitution - Juventus. Sami Khedira for Federico Bernardeschi. Corner - Ajax. Conceded by Daniele Rugani. Shot blocked. Dusan Tadic - Ajax - shot with left foot from the centre of the box is blocked. Assist - Hakim Ziyech. Offside - Ajax. Donny van de Beek with a pass, however David Neres is in offside. Douglas Costa - Juventus - hits the right post with a shot with left foot from the left side of the box. Assist - Alex Sandro. Cristiano Ronaldo - Juventus - won a free kick in defence. Miralem Pjanic - Juventus - receive yellow card for a foul. David Neres - Ajax - won a free kick in defence. Rodrigo Bentancur - Juventus - won a free kick in defence. New attacking attempt. Jurgen Ekkelenkamp - Ajax - shot with right foot from the centre of the box is saved by goalkeeper in the centre of the goal. Assist - Dusan Tadic. Joël Veltman - Ajax - won a free kick in defence. Substitution - Ajax. Jurgen Ekkelenkamp for Lasse Schöne. Substitution - Juventus. Paulo Dybala for Blaise Matuidi - injury. Missed chance. Matthijs de Ligt - Ajax - shot with right foot from outside the box missed. Assist - Frenkie de Jong. Delay in match Blaise Matuidi - Juventus - - injury. Offside - Ajax. Dusan Tadic with a pass, however Donny van de Beek is in offside. Lasse Schöne - Ajax - receive yellow card for a foul. Federico Bernardeschi - Juventus - won a free kick in defence. Shot blocked. Hakim Ziyech - Ajax - shot with left foot from the right side of the box is blocked. Assist - Lasse Schöne. Missed chance. Frenkie de Jong - Ajax - shot with right foot from the centre of the box missed. Assist - Dusan Tadic. New attacking attempt. Joël Veltman - Ajax - shot with right foot from the right side of the box is saved by goalkeeper in the centre of the goal. Assist - Hakim Ziyech. Shot blocked. Hakim Ziyech - Ajax - shot with left foot from outside the box is blocked. Assist - David Neres. New attacking attempt. Joël Veltman - Ajax - shot with the head from the centre of the box is saved in the left corner. Assist - Lasse Schöne with a cross. Corner - Ajax. Conceded by Alex Sandro. Shot blocked. Joël Veltman - Ajax - shot with right foot from outside the box is blocked. Assist - Lasse Schöne. Missed chance. Hakim Ziyech - Ajax - shot with left foot from outside the box missed to the left. Assist - Donny van de Beek. Substitution - Juventus. Douglas Costa for Mario Mandzukic. Missed chance. Lasse Schöne - Ajax - shot with right foot from outside the box missed. Frenkie de Jong - Ajax - receive yellow card for a foul. 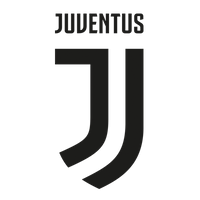 João Cancelo - Juventus - won a free kick in defence. Frenkie de Jong - Ajax - won a free kick in defence. Blaise Matuidi - Juventus - won a free kick on the left wing. Offside - Ajax. Dusan Tadic with a pass, however David Neres is in offside. Missed chance. Nicolás Tagliafico - Ajax - shot with left foot from outside the box is close, but missed to the left. Assist - Donny van de Beek. Hakim Ziyech - Ajax - won a free kick in defence. Goal! Ajax 1, Juventus 1. David Neres - Ajax - shot with right foot from the left side of the box to the right corner. Second Half starts Ajax 0, Juventus 1. First Half ended - Ajax 0, Juventus 1. Goal! Ajax 0, Juventus 1. Cristiano Ronaldo - Juventus - shot with the head from the centre of the box to the right corner. Assist - João Cancelo. Missed chance. Lasse Schöne - Ajax - shot with right foot from outside the box goes high from a free kick. Nicolás Tagliafico - Ajax - receive yellow card. David Neres - Ajax - won a free kick in attack. Missed chance. Federico Bernardeschi - Juventus - shot with left foot from the centre of the box is close, but missed to the left. Assist - Cristiano Ronaldo with a head. Missed chance. Hakim Ziyech - Ajax - shot with left foot from outside the box missed. Assist - David Neres. Dusan Tadic - Ajax - won a free kick in attack. Alex Sandro - Juventus - won a free kick in defence. Missed chance. Rodrigo Bentancur - Juventus - shot with left foot from outside the box is high and wide to the left. Assist - Cristiano Ronaldo. Miralem Pjanic - Juventus - won a free kick in defence. Missed chance. Cristiano Ronaldo - Juventus - shot with right foot from the centre of the box missed. Assist - Miralem Pjanic with a cross after corner. Corner - Juventus. Conceded by Lasse Schöne. Corner - Juventus. Conceded by Frenkie de Jong. Mario Mandzukic - Juventus - won a free kick in defence. Missed chance. Donny van de Beek - Ajax - shot with left foot from the centre of the box is close, but missed to the left. Assist - Dusan Tadic. Matthijs de Ligt - Ajax - won a free kick in defence. Alex Sandro - Juventus - won a free kick on the left wing. Offside - Ajax. Daley Blind with a pass, however Hakim Ziyech is in offside. Corner - Ajax. Conceded by Wojciech Szczesny. New attacking attempt. Hakim Ziyech - Ajax - shot with left foot from outside the box is saved in the top left corner. Assist - Frenkie de Jong. Corner - Juventus. Conceded by Matthijs de Ligt. Missed chance. Miralem Pjanic - Juventus - shot with right foot from outside the box missed. New attacking attempt. Hakim Ziyech - Ajax - shot with left foot from outside the box is saved by goalkeeper in the centre of the goal. Assist - Dusan Tadic. Daniele Rugani - Juventus - won a free kick in defence. Missed chance. Hakim Ziyech - Ajax - shot with left foot from outside the box is close, but missed. Assist - Dusan Tadic. Missed chance. Federico Bernardeschi - Juventus - shot with left foot from outside the box is very close to the goal. Assist - Rodrigo Bentancur. Get real-time football commentaries and full coverage for the Champions League match Ajax vs. Juventus, powered by Scorenga.co.uk. This page is dedicated to one of the most exciting Champions League clashes. Here you will find a summary of the game, standings and photos.